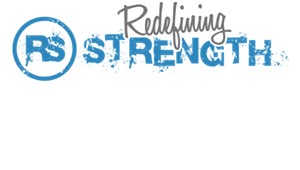 Redefining Strength offers functional fitness classes ranging from HIIT to strength training. They use everything from slide boards, battle ropes, kettlebells and barrels to conventional equipment like dumbbells and barbells. If you're looking for a fun and functional workout to start your day, stop on in! For someone who doesn’t have strong arms, this class was challenging, but in a good way! Savannah was great for helping me with my form and helping me along the way. Great instructor!! Shiori was great at teaching us about form so that we would get the best work out possible. Thank you!! Great at explaining each movement and explaining the isolation of each muscle. Highly recommended! Great class, A lot of attention was paid to form and detail, the instructor was friendly and not pushy and the workout was a serious challenge. Amazing! Cori and Shiori were fantastic! It was so refreshing to find a place that values small group instruction so they can give feedback to every member. I have a torn ACL and Cori knew immediately how to give me modifications, unlike most places in OC Ive been to. I have been frustrated in trying to find high quality functional training since I moved back to Costa Mesa. As a former collegiate athlete, I havent found a place that has challenged me more. Whatever you guys are doing, keep it up! Killer workout and welcoming group! The 45 minutes went by so quickly.